My favourite photo app Instagram continues to grow and reached 400 million active users per month last fall. Many Swedish brands, celebrities and skilled photographers have been able to build huge followings on Instagram. The 20 largest Swedish accounts added approximately 5 percent more followers last month (between Dec 4, 2015 and Jan 4, 2016). You now have to have more than 100,000 followers to be among the top 100 Instagram accounts in Sweden. At least 18 of them have more than a million followers, not bad for a country of less than 10 million people. But then again, the most successful users all have an international audience. The Swedish brand with most followers is H&M – 11.8 million (global account, they have several local accounts too). 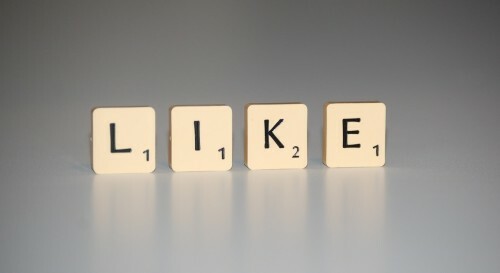 Over the last few years most major social networks have introduced some form of advertsing as a revenue source. 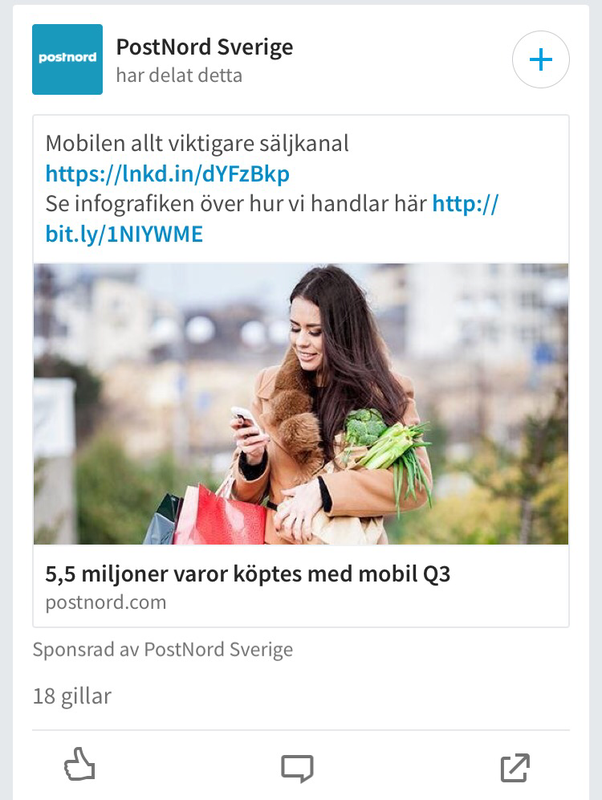 Even Instagram has now started to insert sponsored posts in the feeds for Swedish users. As social media users transfer from desktop use to mobile use, it becomes more and more important to place ads or sponsored posts in the news feeds instead of in a sidebar on the desktop site. The more ads that the networks can display, the more revenue they can make. However, if ads become too frequent, users will dislike it and eventually stop using the service. So balancing the number of ads is a delicate task. Too few and you aren’t making as much revenue as you could, too many and users will leave, also lowering your profit. So the billion dollar question is, how much ads are users prepared to take? The answer, it seems, could be somewhere around 10%. LinkedIn just released a major update to its mobile app, making it look a lot like Facebook. What first struck me was how many ads there were in the feed and that they appeared early. The second post in the feed was always sponsored. So I decided to study the ad frequency of the big four social networks. I looked at the percentage of posts in each feed that was sponsored and found that approximately 10% of all posts were ads. Twitter had a slightly lower share of ads at about 8%. On LinkedIn, Facebook and Instagram, 10% of posts in the feed were ads. Since I only looked at my own feeds we must not make general conclusions. To do that one would have to look at a much larger statistical sample. However, I find it interesting that all four social networks have about the same share of ads in my feeds and it will be a topic to follow in the coming months to see if the ten percent figure is accurate or not. Take a look at your own feeds and see if you see the same pattern. Note: Just to give you an idea of when ads appear in feeds, I looked at 100 posts on Instagram, LinkedIn, Facebook and Twitter via their respective mobile (iOS) apps. Worth noting is that ads stopped appearing on Instagram after 70 posts. Also, ads on LinkedIn appear on the exact same spots in the feed on mobile as on desktop even if I checked several days apart. LinkedIn ads also appear earlier, so after looking at 20 posts you are already exposed to 3 ads. Over 100 posts it still is at 10%. So to study this topic in more detail you need to know how far back users normally scroll. I think most users don’t ever reach 100. Twitter’s video sharing service Vine recently announced that it has 100 million monthly active users. Until now we have not had any statistics about how many local Vine users there are in Sweden, but according to a new survey by GlobalWebIndex, at least 3% of Swedish mobile internet users age 16-64 use Vine on a montly basis. 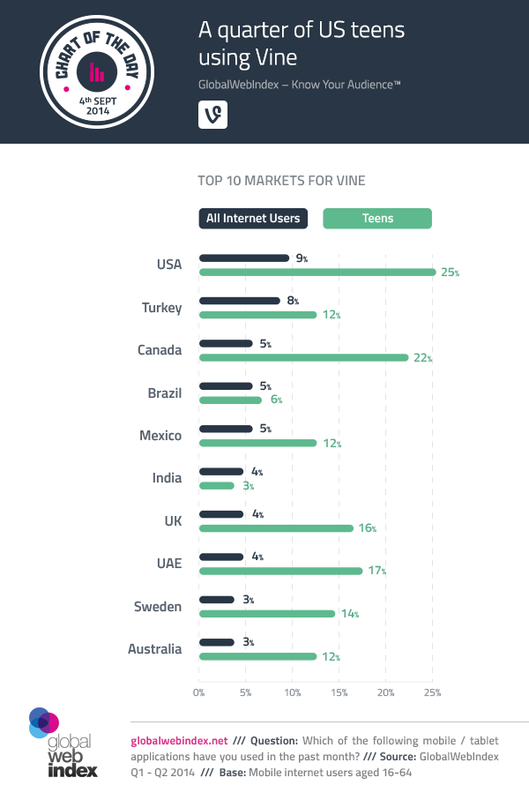 Among teens (age 16-19) the penetration is much higher as 14% say they have used Vine last month. The highest penetration among teens in the surveyed countries can be found in USA and Canada (25% and 22%). There are no further details about how the survey was conducted.